What is PS4 Error CE-32928-4? CE-32928-4 occurs when trying to download content that has already previously started. The error occurs when the previous download failed, and the system attempted to download the same content again. 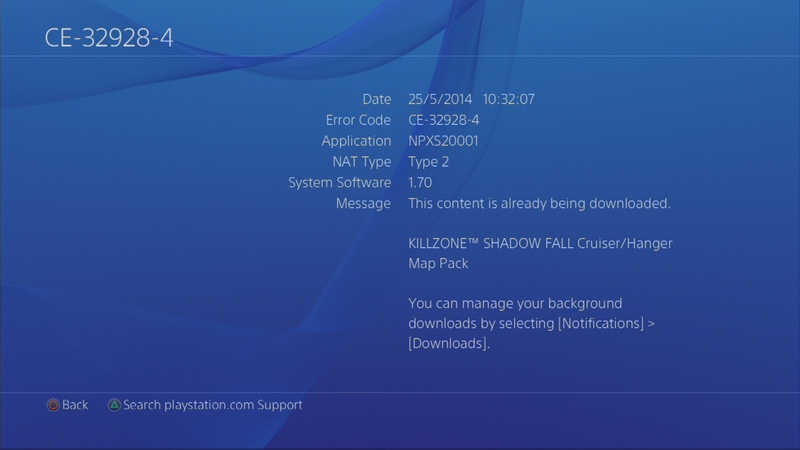 To fix the issue, go to [Notifications] > [Downloads] and retry to download the failed content. If retrying the download fails, you should try using the Recovery Menu / Safe Mode to rebuild the database before trying again.